Honda has unveiled its new production fuel cell vehicle ahead of the Tokyo Motor Show. The automaker was expected to show off the new vehicle at the event, but has decided to do so early in order to generate more interest. The vehicle does not yet have an official name, but it will be equipped with hydrogen fuel cell technology that Honda has helped develop. During the Tokyo Motor Show, Honda will be demonstrating the technology that is being used to power the vehicle. Last year, Honda showed off its fuel cell vehicle concept car, which served as the basis for the new production fuel cell vehicle that the automaker is developing. The concept car managed to attract a great deal of attention from those interested in clean transportation. 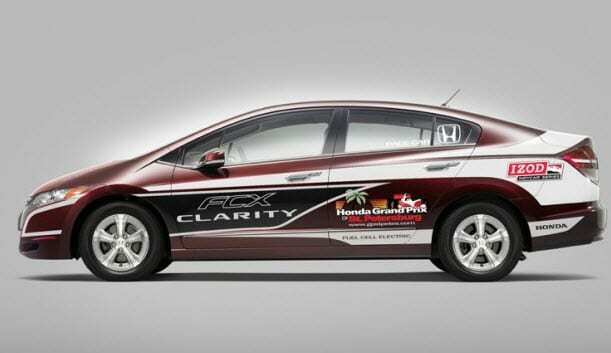 The new production vehicle will serve as the successor to Honda’s FCX Clarity, which is also powered by a hydrogen fuel cell. The new vehicle is also expected to compete with Toyota’s Mirai, which was launched in Japan in December of last year. The new vehicle is equipped with a hydrogen fuel cell that is 33% smaller than previous models that Honda has used. Despite its smaller size, the fuel cell is actually capable of producing more energy than its predecessors and is less expensive to develop. The small size of the fuel cell also means that the vehicle’s powertrain can fit within a more compact space. The fuel cell vehicle will not only serve as a transportation solution. Honda will be including an external power feeding inverter, which will allow the vehicle to serve as a type of mobile power plant. This means that the vehicle can be used to supply consumers with electrical power in the event of an emergency or a natural disaster.